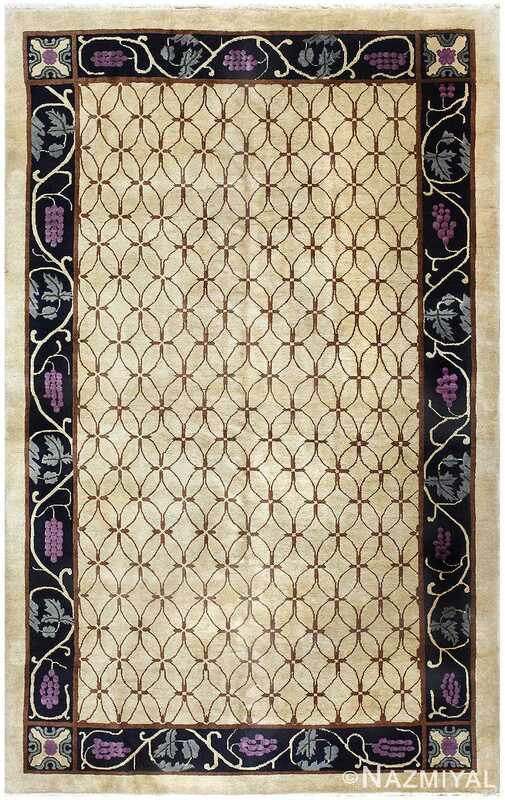 Beautiful Antique Chinese Rug, Country of Origin: China, Circa Date: 1900's - Here is an absolutely lovely antique Oriental rug - an antique Chinese rug, a beautiful piece composed in the finest tradition of such pieces. 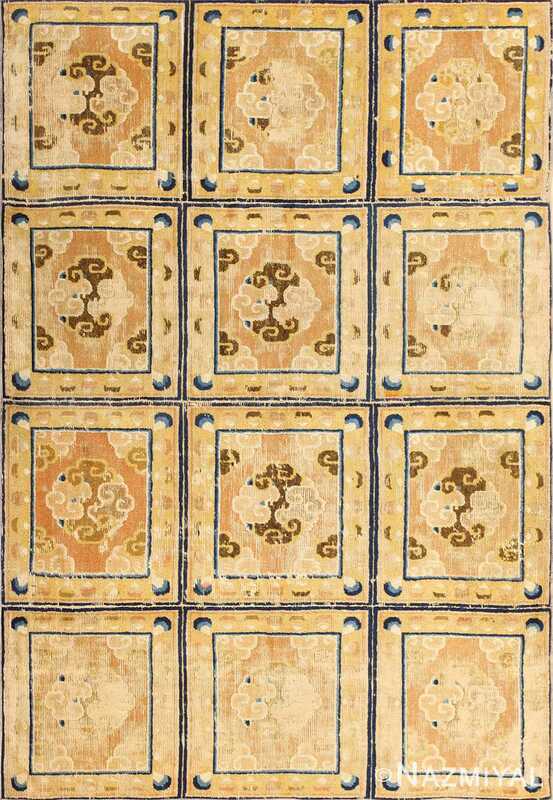 Chinese rugs are prized by collectors for their unique compositions, which are generally characterized by realistic depictions of traditionally important Chinese animals in a simple pallet of blue and ivory. This particular example is a fantastic manifestation of this weaving tradition, as it boasts a series of animals, arranged in a deliberate manner, against an ivory field. At the bottom of the piece is a tethered horse rendered in blue, with a curious expression in here eyes. 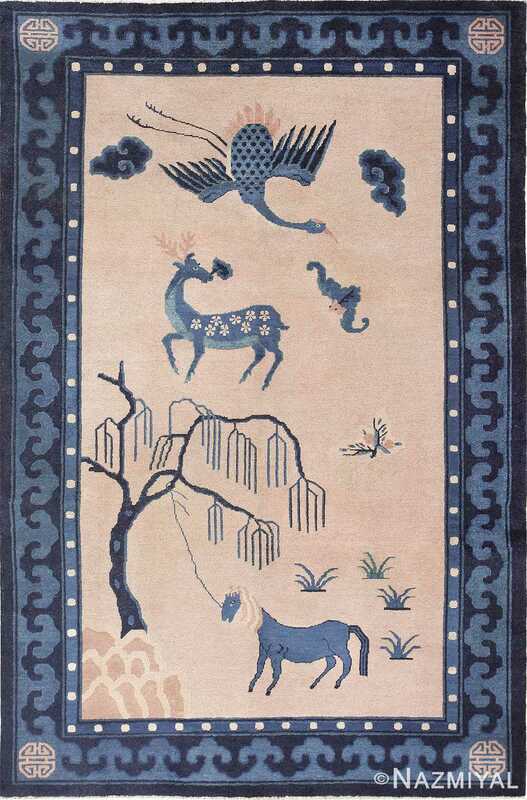 Above the horse is a charming depiction of a deer, beautifully decorated with flowers. Finally, above this, is a gorgeous, flying crane, also beautifully rendered in blue. The ivory of the field is bordered with blue as well, creating an impression of unity and balance - something especially important in Chinese design. 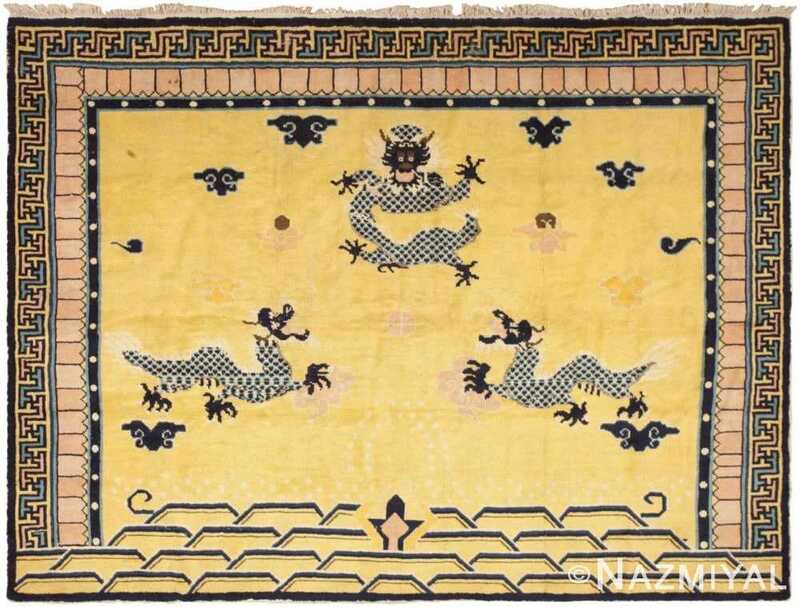 Superbly colored, this luxurious antique Chinese rug depicts a powerful triumvirate of spectacularly detailed dragons set over a saturated golden-yellow field.